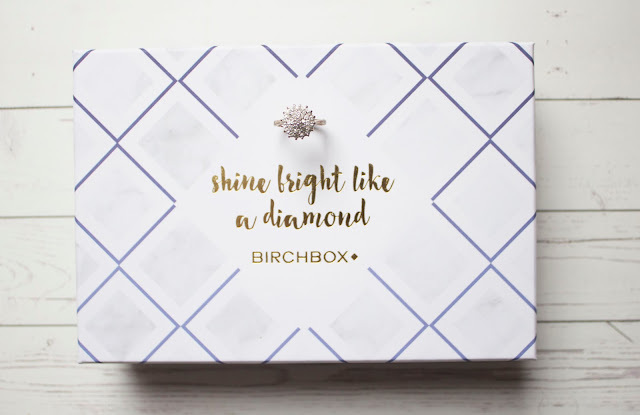 The theme of this month's Birchbox is 'shine bright like a diamond.' 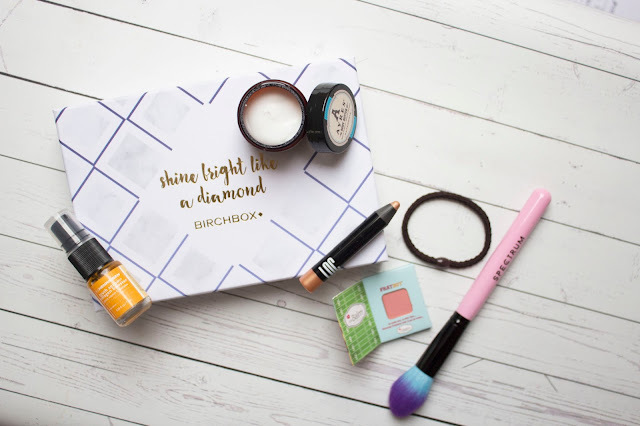 In one of the boxes is a treat, a diamond necklace worth £200 for one of their lucky subscribers, fancy! The product I was most excited about when I opened the box was the Spectrum makeup brush, a full sized item which is perfect for applying blusher, setting powder or highlighter to the face. It's super soft and lovely to use, I adore receving full sized items in the box! Another (strangely) exciting item was the hairband, I get a bit obsessed with hairbands, especially ones that promise to not tear or pull at your hair. When I get home, I straight away put my hair up, out of my face and I'm also desperately trying to keep my hair in good condition so these hairbands are essentials! The Loc Cream Eyeshadows stick in the shade is beautiful, a stunning gold shimmery shade which works perfectly to accentuate blue eyes (like mine) therefore, I love! Taking care of my acne prone skin has become a necessity, I've tried Ole Henriksen before so was super excited to receive a serum to try out in this month's box. Their products have very fruity scents which I personally love! Which products are your favourite from the box?